If you run a program or organization that supports individuals or families that are in need of a safe place to stay, such as battered women, homeless, pregnant women, single mothers or addicts in recovery, keeping up with food supply purchasing and non-food supply purchasing can be difficult, to say the least. The need for a purchasing system that is effective and intuitive is very great, particularly in non-profit organizations, such as these, that are highly focused on cutting costs, yet wish to maintain a strict level of quality service and care. Regardless of the “system” that you might have to keep track of your supplies and help you place orders when things start to run low, there is a better way. Some program administrators use clipboard systems, computer spreadsheets or complex filing systems to stay on top of their supplies to make sure that they never run out of what they need. Unfortunately, all of these systems have one primary thing in common – they have all failed at one time or another. Too often administrators find themselves spending more time keeping track of their supplies and less time actually working with the people that need them most. Any food service program, whether it is in the local homeless shelter or at the trendiest restaurant, relies on food and other supplies being delivered in an orderly and timely manner. Additionally, in order to stay on-budget and continue providing the services required to run a successful program, the food and other supplies must be purchased with an eye on cutting costs. While many of the new purchasing software programs available do help with food costing for smaller organizations, there is still quite the learning curve required in order to use them effectively. There is a better way. What would you say if someone told you that you could get all of your food and non-food supplies from one vendor and that the vendor would actively work to ensure that you got the best-price available for those supplies? How much would a service like that cost you? Five percent of your supply cost? Ten percent – or maybe fifteen? How much would you pay to ensure that you weren’t overpaying for your supplies and that the food supply purchasing you did guaranteed that you were getting the freshest, best quality products available? The best way for administrators to stay on top of their food supply purchasing is by keeping track of supplies and actively seeking the best possible price for each item they purchase. Who has the time to keep track of all that? Can you even stay on top of the best prices for the groceries you buy for your own home? If you are not buying your food supplies at the best possible rate, then you are operating your program or service at a disadvantage, wasting valuable funds that could be used for something else. You need a food supply purchasing service that will help you by cutting costs, tracking your supplies and ensuring that you stay on-budget month after month after month. Program administrators across the country have discovered that FoodSource Plus is the answer to all of their problems. Offering a unique outsourced purchasing solution to shelters, educational programs and community service providers, FoodSource Plus can help with cutting costs, keeping track of supplies and ensuring that you get your products and produce in a timely manner at the best possible price available. They take care of it all, leaving you with more time to focus on improving your program in other way to provide even more comprehensive care to those who rely on your services. A team of professional and experienced purchasing pros work together to ensure that each client gets the products they need at the best price available, while also making sure that those items get delivered in a timely and efficient manner. FoodSource Plus not only saves you time and money, but this outsourced purchasing solution can help you with cutting costs and provide you with a more effective way to stay on top of your supplies without all of that tedious paperwork and monitoring. When you trust your food supply purchasing to FoodSource Plus, you will be working with a program that is designed to provide you with a comprehensive purchasing power, giving you the best quality supplies at the lowest possible cost. FoodSource Plus provides each new client with a free supply and cost analysis, identifying new ways for cutting costs and more effective methods for keeping track of supplies. They also provide menu and nutrition services to help you stay on-track with any nutritional guidelines provided by your state or community, while still helping to reduce costs and make smarter food supply purchasing decisions. Once your free evaluation is complete, the professionals at FoodSource Plus will be able to suggest and implement more practical food supply purchasing procedures that will help you to make more intelligent, cost-effective purchasing decisions. In addition to your food supplies, FoodSource Plus can also help you with cutting costs and making better purchasing decisions with regard to non-food supplies. The services provided by FoodSource Plus typically help clients achieve between 10-35 percent in annual savings. Reduced Labor Requirements – FoodSource Plus takes care of all the price research, menu development, food supply purchasing and helps with keeping track of supplies, freeing up your staff or allowing you to reduce the amount of staff required to keep your program running. Reduced Labor Costs – In addition to saving money on the food and non-food supplies you purchase, FoodSource Plus also saves you in employee costs, negating the necessity to hire a full-time purchaser for your organization. This relieves you of the responsibility in paying a salary or hourly wage, payroll taxes and benefits for that employee as well. Reliable Service – FoodSource Plus provides clients with reliable, continuous service. There are no sick days and no vacation weeks to worry about. The professionals that provide these services work together as a team and will always be there to run your outsourced purchasing solution. Better Purchasing Control – When you decide to hire FoodSource Plus, you will effectively improve your control over your food supply purchasing, creating a well-documented paper trail of all purchases made to ensure that everything you need gets ordered, purchased and delivered in an efficient manner. More Purchasing Options – Because FoodSource Plus works diligently to find the best possible prices on food supplies across the board for many different types of clients, you get the advantage of learning about new product and supply options as they become available. This will help you stay on top of new products that might be relevant and helpful to your program. Improve Your Food Supply Purchasing Today! Call FoodSource Plus to find out more about all of the programs and services available that are designed to help organizations with food supply purchasing, cutting costs and keeping track of supplies. 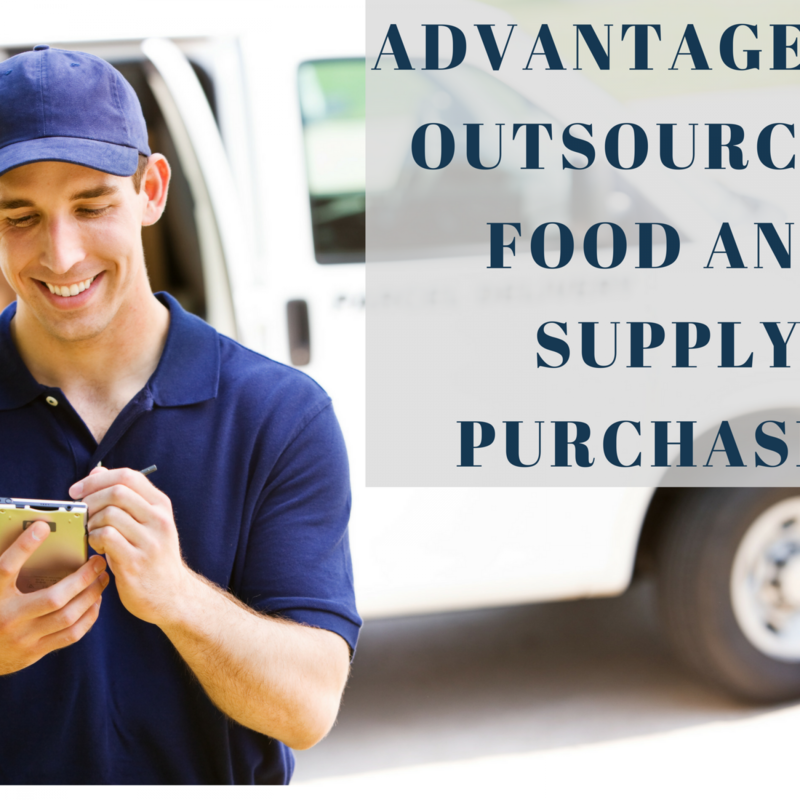 As an outsourced purchasing solution, FoodSource Plus can help take all of the guesswork and paperwork out of keeping track of food supply purchasing once and for all. Call today to get started or sign-up online for the FoodSource Plus free supply and cost analysis of your current food supply purchasing methods.